Pictured is an updated rendering of the OhioHealth Neuroscience Wellness Center set to open in 2019 near Riverside Methodist Hospital in Columbus. OhioHealth will open the newly named OhioHealth Neuroscience Wellness Center to community members in 2019 on the McConnell Wellness Campus near OhioHealth Riverside Methodist Hospital. 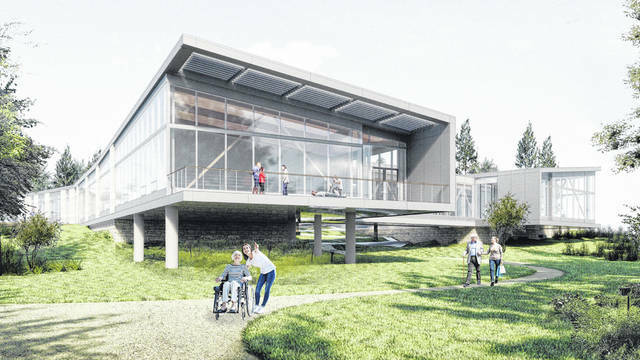 This 28,500 square-foot center will be the first freestanding, neuroscience wellness center in the country, and serve as a central location for individuals with neurological conditions such as stroke, multiple sclerosis, Parkinson’s disease and others. Every detail of the center, designed by Gensler and to be built by Whiting-Turner, is centered on members’ physical and cognitive needs. The wooded and serene location will help to create the ideal environment to focus, motivate, and empower community members to build strength and live well like never before. The center will offer comprehensive wellness programs designed around exercise, education, and support delivered in a safe and comfortable environment, and all under one roof. The design features a glass enclosed walking bridge, outward facing decks, as well as spectacular views of the courtyard, and more from the indoor walking track. The facility will also bring already established OhioHealth wellness programs such as OhioHealth Delay the DiseaseTM, OhioHealth Fore HopeSM, Staying Fit Following Stroke and Brain Injury, and the OhioHealth MS Wellness Program under one roof. In addition, new programming will be established, expanding access for neuroscience patients and their families, while meeting the demonstrated community need and desire for neuroscience wellness programs. This site will also serve as an incubator for expanded programming. OhioHealth experts will test ideas and expand successful programs to other outlets in central Ohio, and regionally. 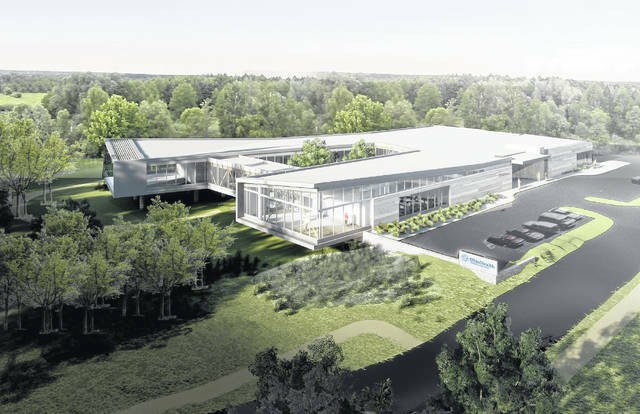 As plans and programs start to take shape for the Neuroscience Wellness Center, there has been generous support with a $10 million dollar philanthropically funded effort through the Building Strength for Life – OhioHealth Neuroscience Wellness Center campaign led by the OhioHealth Foundation. Initially, $6 million dollars came from a gift from John P. McConnell and the McConnell Foundation. Additionally, Mike Endres, former OhioHealth board member and his wife, Jane, made their legacy gift to OhioHealth with a $3 million dollar gift, half of that amount targeted for this project. Another generous gift comes from Gifford Weary, Ph.D., her husband, David J. Angelo, and the Weary Family Foundation. This $3 million dollar gift will to help advance the Neuroscience program at OhioHealth. $500,000 of that gift supports the Building Strength for Life campaign. Serving its communities since 1891, it is a family of 29,000 associates, physicians and volunteers, and a network of 10 hospitals, 200+ ambulatory sites, hospice, home-health, medical equipment and other health services spanning a 47-county area. OhioHealth hospitals include OhioHealth Riverside Methodist Hospital, OhioHealth Grant Medical Center, OhioHealth Doctors Hospital, OhioHealth Grady Memorial Hospital, OhioHealth Dublin Methodist Hospital, OhioHealth Hardin Memorial Hospital, OhioHealth Marion General Hospital, OhioHealth O’Bleness Hospital, OhioHealth Mansfield Hospital and OhioHealth Shelby Hospital. For more information, visit www.ohiohealth.com.